Regardless of where you are planning to move to in Great Britain, the moving companies listed on Intlmovers are professional and experienced in both home and business relocation. They will help you with the organization and the transport of your household and professional goods for International moves to Great Britain. To avoid much of the stress associated with an international move, Intlmovers can help you find the right moving company to suit your moving budget and your personal and business needs. Compare offers from up to 6 international moving companies – completely cost free and obligation free! They have contacts in Great Britain which can make International moving to Great Britain cheaper. On some websites you can also calculate your (approximate) amount of points. This can help you you first evaluate and see your possible chances of obtaining approval before your applying. The Tier 3 visa is generally for temporary migrants who will start a seasonal job in UK. This visa is for young people who wish to come to the UK and experience the British life. Each year the government announces several countries and places which are participating in this scheme. Young people from these countries are allowed to travel to the UK. In this case your government will be your sponsor for this period of time. If you are a citizen of the EEA, EU or Switzerland, then you don’t have to apply for a visa for a move to Great Britain. To be able to identify each individual for organizational and tax related reasons, the UK government demands that every immigrant apply for a National Insurance Number (NIN). Furthermore the authorities “HM Revenue and Customs“ and “Department of Work and Pensions“ need the NI Number to be able to follow your accomplished contributions. For that, you need to arrange an appointment with the “Job Centre Plus”. Great Britain is a popular international destination for people from Australia, United States and France. 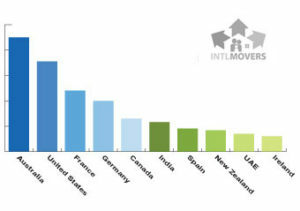 It doesn’t matter from where in the world and to where in the UK you are planning to move. 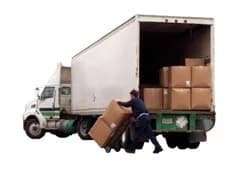 The moving companies on Intlmovers.com will take care of you removal – either overseas or cross country. Thanks to the professional moving companies, you don’t have to worry about transporting your household goods to your new home intact.